Definition at line 522 of file tdi.h. 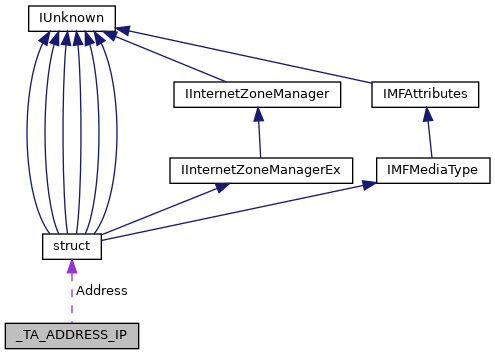 Referenced by DGDeliverData(), ICMPSendDatagram(), RawIPSendDatagram(), TCPGetSockAddress(), TCPSocketObject::TCPSocketObject(), TdiReceiveDatagram(), TdiSendDatagram(), TestTcpConnect(), and UDPSendDatagram(). Definition at line 523 of file tdi.h. Referenced by DGDeliverData(), TCPGetSockAddress(), TCPSocketObject::TCPSocketObject(), TdiReceiveDatagram(), TdiSendDatagram(), and TestTcpConnect().